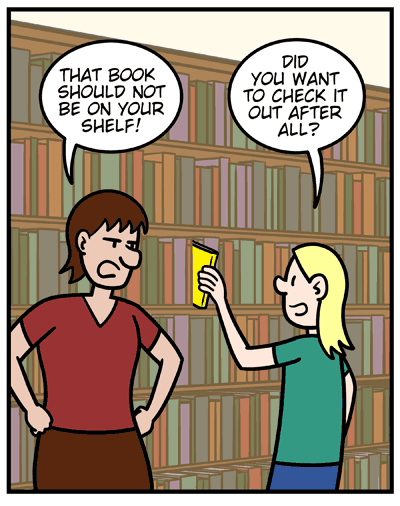 Patron: That book should not be on your shelf! Luke: Did you want to check it out after all? Patron: No! I don’t want it! 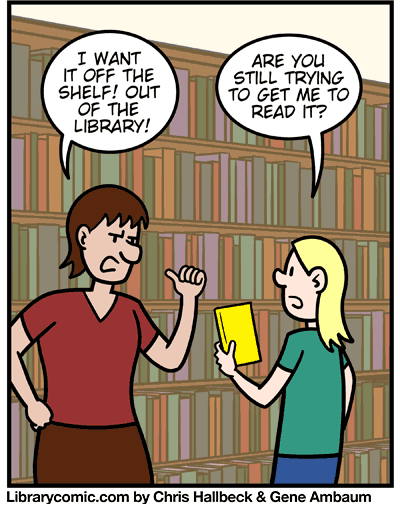 Patron: I want it off the shelf! 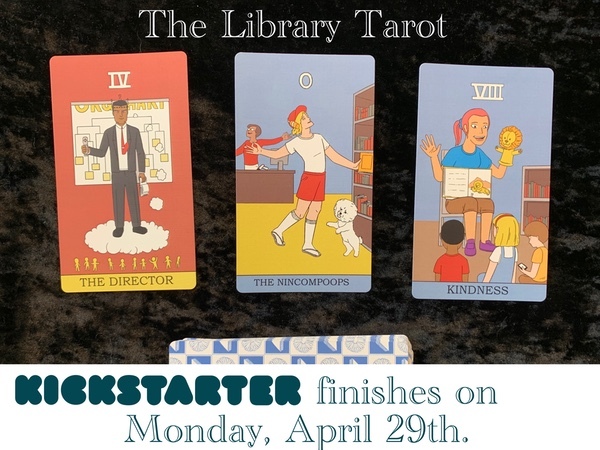 Out of the library! Luke: Are you still trying to get me to read it? Patron: Just get it out of here! Luke: All this yelling is starting to make me think you don’t really like the book. You don’t understand! 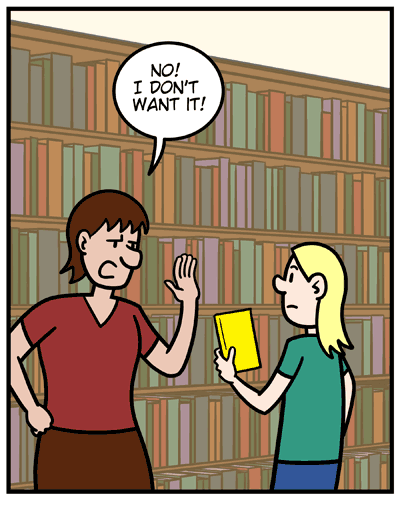 It’s not enough that *I* don’t read it! NO ONE SHOULD READ IT! 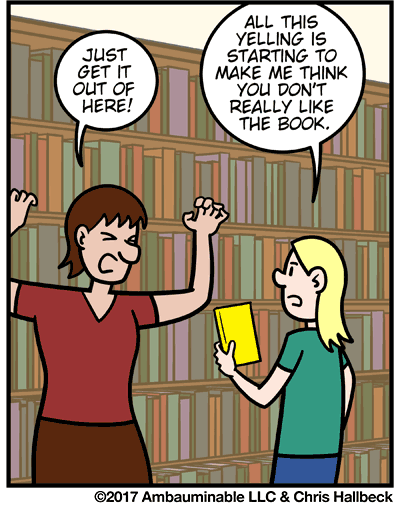 Except that this anger-filled patron is trying to force luke the page to read it.